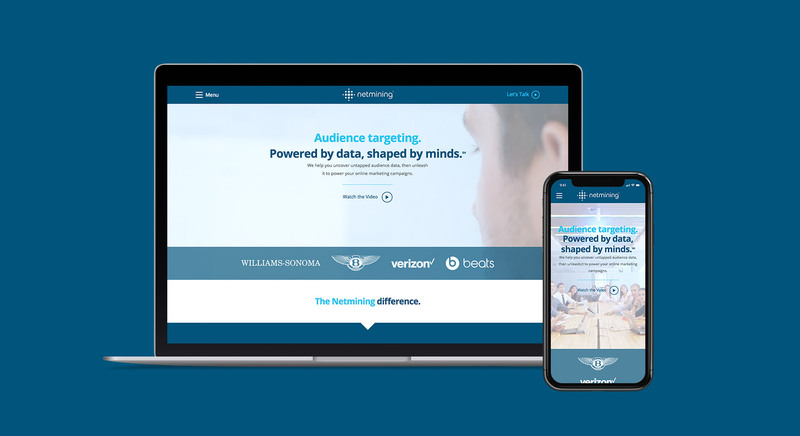 Netmining offers its clients real-time audience targeting. In an industry that’s crowded, complicated, and overwhelming, we worked with them to differentiate themselves from the pack. Paired with an approachable and illustrated aesthetic, their new positioning helps set Netmining apart from the other guys. 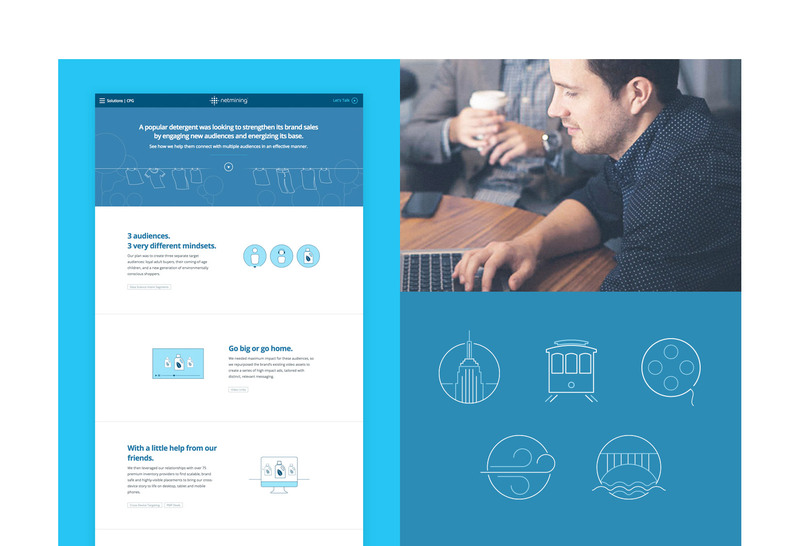 Without a tangible product to showcase, we leveraged animations, videos, and graphics to communicate Netmining’s offering on a new website. Punchy and direct copywriting reinforces the brand’s approachable nature, communicating their services, benefits, and culture, clearly and succinctly. Netmining’s mission, philosophy, technology, and culture all come to the forefront in this company overview video. Telling the story of the brand is the centerpiece of their new website. Like what we did for Netmining?